Flavors.me - Adding New Sites Every Day ! 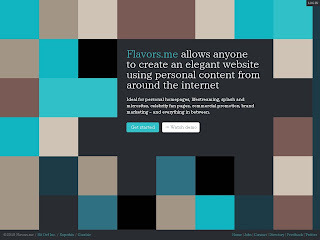 Flavors.me allows anyone to create an elegant website using personal content from around the internet. Ideal for personal homepages, lifestreaming, splash and microsites, celebrity fan pages, commercial promotion, brand marketing – and everything in between.